Liver cancer is proving deadlier. A report released on July 18 by the Centers for Disease Control and Prevention shows death rates from liver cancer rose 43 percent between 2000 and 2016. Many cases are caused by underlying disease that can be prevented. We learn more about liver cancer — and how it’s treated — from Dr. Karen Krok, a hepatologist at Penn State Health Milton S. Hershey Medical Center. Scott Gilbert – Health. 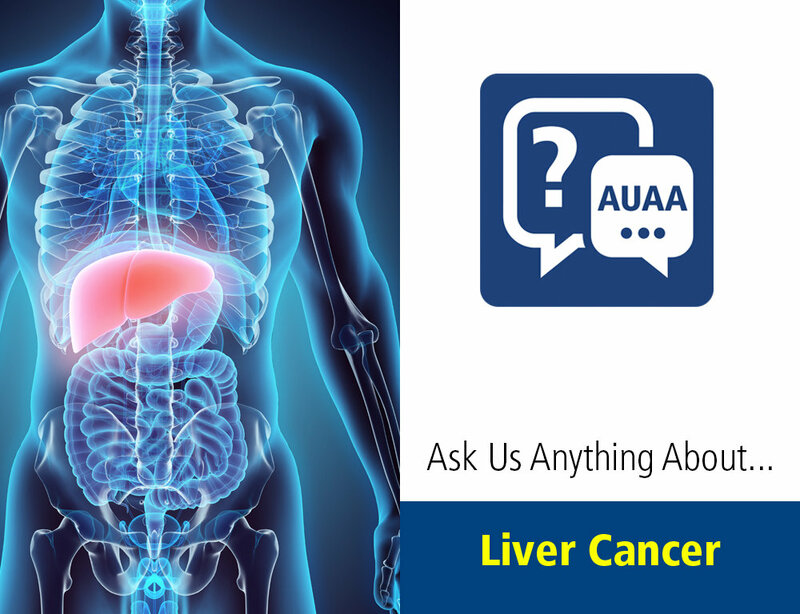 This is Ask Us Anything About Liver Cancer. I’m Scott Gilbert. Liver cancer is proving deadlier. A report released today by the Centers for Disease Control and Prevention shows death rates from liver cancer rose 43% between 2000 and 2016. Now, many of those cases are caused by underlying disease that can be prevented. We’re going to learn more about the trends, dig into those numbers, a bit more about prevention as well with Dr. Karen Krok. She’s a hepatologist here at Penn State Health Milton S. Hershey Medical Center. Dr. Krok, thanks very much for your time today. Let’s start with the numbers and dig in a little bit. Are they as bad as they sound? Can you put them in context for us? Dr. Karen Krok – Sure. So the CDC came out with some studies showing that there’s been a 43% increase in death rates. So just to put that in perspective, overall, we’re looking at, in the past, about 10 people used to die of liver cancer in a year, and now it’s up to 15 in that year. And so it, there has been a trend, and it’s not at all unexpected. It’s what we’re seeing clinically as well too. Scott Gilbert – Right, and so the numbers are headed in the wrong direction. What do we know about why? Dr. Karen Krok – Well, it’s also interesting, if I could, because in the other cancer diagnoses, there’s actually been a decrease in death rates compared to liver cancer. So why has there been an increase in liver cancer? Well, I’d say it’s mostly twofold. Number one, it’s the hepatitis C epidemic that we’re seeing mostly in the baby boomer population. So if you were born between 1945 and 1965, you should absolutely be tested for hepatitis C because there’s a 1 in 33 chance that you have hepatitis C.
Scott Gilbert – Statistically, that’s very high. Dr. Karen Krok – That would be remarkably high. That’s about 3% of the population born in that time period has hepatitis C.
Scott Gilbert – And then, hepatitis C can lead to liver cancer how? Dr. Karen Krok – So hepatitis C is one of about 8 or 9 diseases that lead to cirrhosis. Cirrhosis means bad scarring in the liver, and the bad scarring in the liver is then ultimately what leads to the liver cancer. Scott Gilbert – You’re watching Ask Us Anything About Liver Cancer from Penn State Health. Dr. Karen Krok welcomes your questions. You can just put them in the comment field below this Facebook post, whether you’re watching this video live, in which case we can answer the question in real time for you, or if you’re watching it on playback, we’ll track down an answer for you to those questions. You know, Dr. Krok, I’m wondering if the numbers released today by the CDC were a surprise to you as a clinician based on what you said that what you’re seeing in your clinics. Probably not. Dr. Karen Krok – No, this is, absolutely doesn’t appear to be a surprise for any of us. We are seeing it more and more in our patients. Actually, part of our standard of care is to screen for liver cancer in all of our patients. And so if you have cirrhosis of the liver, then you should have imaging done of your liver every 6 to 12 months to look for cancer. Scott Gilbert – And some of those causes of cirrhosis, some of those underlying causes of liver disease include other things too as well, like obesity, smoking. And when I hear those things, I think, that’s preventable. Does that mean liver cancer is, to some extent, preventable? Dr. Karen Krok – Well, we are in a world of an obesity epidemic right now, so there are 100 million Americans with fatty liver disease. And of those people, about 1 to 2% of them will get cirrhosis. Obesity we like to think of as potentially being preventable, but we are inundated with McDonald’s, and Burger Kings, and so many other things, and so it’s challenging. Smoking may increase the risk of lots of other cancers, increase the risks of, but affiliated with liver cancer, not as high as it would be with lung cancer. Alcohol, though, would be something that is also associated with liver cancer as well too. Scott Gilbert – Interesting to me that, despite some of these behaviors being on the rise, as you mentioned before, a lot of forms of cancer are on the decrease, but liver cancer is, as you mentioned, an outlier. And a lot of that could go back to some of these behavioral factors, then. Dr. Karen Krok – It does, definitely. And with the rise of obesity that we’re seeing nowadays too, it’s absolutely associated with the rise of the obesity epidemic. Scott Gilbert – You’re watching Ask Us Anything About Liver Cancer from Penn State Health. I’m Scott Gilbert alongside Dr. Karen Krok. She’s a hepatologist here at the Milton S. Hershey Medical Center, and she welcomes your questions. Just add them to the comment field below this Facebook post, and we’ll get you some answers here. Also, feel free to share this post on your Facebook page if you find the information to be helpful, as we hope that you do. And as we talked about liver cancer, I wonder if we could stop for a moment, and back out, and talk about what the liver does. It’s a very important organ, but tell us why. Dr. Karen Krok – Well, anyone who’s ever taken care of a patient would know if your liver’s not working, they’re some of the sickest people in the hospital. The liver’s responsible for making proteins that help our body work or helps our body clot so that we’re not bleeding in places. Our liver is responsible for filtering a lot of toxins that build up in our system as well too. Scott Gilbert – Okay. As we talk about liver cancer, what is the general prognosis? I know it’s tough to say because a lot of it hinges on when it’s detected, but versus, early detection versus if it goes undetected for quite some time, what kind of prognosis are we looking at in these patients? Dr. Karen Krok – Well, the good news about liver cancer is, if you find it early, if you find it at a small size, it is practically curable. We can cure it by usually doing a liver transplant. But if it’s found late, if it’s found to be at a very large size or having spread elsewhere, you’re looking at less than a 10 or 15% 2-year survival. Scott Gilbert – How often does cirrhosis lead to cancer? In other words, is it safe to call cirrhosis precancerous or just in some cases? Dr. Karen Krok – So I would not call it precancerous. In order to develop liver cancer, about 70 to 80% of the patients who have liver cancer will have cirrhosis. But if you have cirrhosis, about 5% of those patients will develop liver cancer. So 5 out of 100 people will develop liver cancer if they have cirrhosis. Scott Gilbert – Some very interesting numbers on liver cancer from the American Cancer Society. They expect just over 42,000 Americans to be diagnosed this year, in 2018. They say, of those 42,000, just over 30,000 will be men, about 11,000 women. Do we know anything about that gender disparity and why so many more men than women get the disease? Dr. Karen Krok – So it probably goes back to the risk factors that we have for liver cancer, and those include the obesity epidemic as well as perhaps some lifestyle choices of drug use and alcohol addiction that tend to be higher in males, and obesity rates tend to be higher in males as well too compared to the females. But the important thing to mention is, once you have liver cancer, it doesn’t matter if you’re a man or a woman. Your survival rate is the same. And so finding this early is what’s key to long-term survival with liver cancer. Scott Gilbert – You heard her, guys. Time to get healthy, okay. You’re watching Ask Us Anything About Liver Cancer from Penn State Health. Dr. Karen Krok, a hepatologist here at the Milton S. Hershey Medical Center welcomes your questions. Put them in the comment field below this Facebook post, whether you’re watching this video live as it happens or after the fact, and we’ll get you some answers then. You know, so we talked about the gender disparities. Let’s talk a bit about race. Some very interesting numbers here as well. Non-Hispanic whites historically have had the lowest death rates from liver cancer. Do we know, first of all, why that’s the case versus other races? Dr. Karen Krok – So the thought is, in the Hispanic whites, that there’s an increased risk of obesity and that that, the genetic markers predispose them to developing liver cancer. And so we, in our clinical, in my clinical population, I’ve also seen a lot of increased risk of liver cancer in Hispanics as well too. Scott Gilbert – And yet, if you look at a graph of all the different ethnicities, you see all the, liver cancer incidence rising in all of them, except for one — Asian/Pacific Islanders, the numbers are going down. What do we know and, you know, what can we tap into with that little success rate? Dr. Karen Krok – I was just going to say that is the success story, and that’s all because it is well recognized that people with hepatitis B, of which is more prevalent in the Asian population, they’re at higher risk of liver cancer. And so the success is that these patients are finally getting the screening that they’re supposed to get. They’re getting their surveillance. They’re getting their imaging. And the cancers are being found early in those patients. Scott Gilbert – Then, once that happens, then how is the cancer typically treated? I know you mentioned liver transplant is sometimes an option. If that’s not an option, are there others? Dr. Karen Krok – Sure. So if the person doesn’t have very significant liver disease, they don’t have cirrhosis of the liver or very bad liver disease, sometimes we can even resect it. We can do surgery to cut out part of the liver. I wouldn’t count that as the number-1 treatment. Actually, the number-1 treatment is going to be liver transplant for these patients, whether that’s a decreased donor, or they could even get a live donor transplant too. The other options would be coming from our interventional radiologists, where they’re going to inject chemotherapy directly into the tumor. So it’s not a chemotherapy that goes through your IV. It’s not the kind that you’re going to lose your hair and you’re going to feel sick like you see on TV. It’s directed at the liver with good success for that as well too. Now, that controls it. Doesn’t necessarily cure it, but controls it. And then, the final option would be through our oncologists, where they can get chemotherapy, whether that’s a pill or something through their IV. It doesn’t tend to work quite as well, though. Scott Gilbert – Right, in this particular type of cancer. Dr. Karen Krok – In this particular type of cancer, that isn’t a great mainstay of treatment. That’s correct. Scott Gilbert – And an interesting property of the liver — you mentioned having part of the organ resected. When that happens, the liver has the ability to regenerate, correct? Dr. Karen Krok – It does, yep. I tell my children that you can have 2 parts of your body regenerate — your skin and your liver. So they can repeat that for you if you wanted them to. So the liver can regenerate. In about 1 month, if you take out half of a liver from you and let’s say you were to give it to me, the half that’s left in you will grow back to a normal size, and the half that you gave to me will also be a normal size in that 1 month. Scott Gilbert – Fantastic, which is why living donors are an option. Not to get too far away from the main topic of liver cancer, but as transplant is one of the cures, it’s important to note that transplants for livers can absolutely come from living donors. I know we do those here at the medical center. Dr. Karen Krok – We do those at the medical center, and they’re a fantastic option for our patients out there to allow them to have increased cure for their cirrhosis and for their liver cancer, gets them a transplant faster. They’re not waiting on the list as long. Scott Gilbert – And as with so many types of cancer, here at Penn State Cancer Institute, we have some clinical trials underway, correct, for liver cancer. Dr. Karen Krok – We do have some clinical trials for liver cancer here. So if you happen to have liver cancer and are interested in any of our clinical trials, you can absolutely let us know about that, and we could get you set up for an office visit with one of the clinical research coordinators in the Cancer Institute. Scott Gilbert – Well, the bottom line, the main take-away is especially people who may have hepatitis C, maybe in that risk group, that they get screened, those for other cirrhosis, that they get screened early and try to catch this as soon as possible. Dr. Karen Krok – Absolutely. So screening early, screening based on the guidelines, every 6 to 12 months, for liver cancer, finding it early, that is the success to this story. In addition, just 1 little plug about hepatitis C, if I may: If you have hepatitis C, we have wonderful medicines out there now to cure hepatitis C. Ninety-nine percent chance of cure. And if we cure your hep C, we can prevent cirrhosis and prevent liver cancer. Scott Gilbert – Very important stuff. Dr. Karen Krok, thanks so much for your time. Dr. Karen Krok – Thank you very much. Scott Gilbert – It was great talking with you. Dr. Karen Krok – Excellent, thank you. Scott Gilbert – Dr. Krok is a hepatologist here at Penn State Health Milton S. Hershey Medical Center. Again, we welcome your questions, even if you’re watching this video on playback. If we didn’t get to something you wanted us to talk about, add it as a comment, and we’ll get you an answer. And thanks so much for watching Ask Us Anything About Liver Cancer from Penn State Health.